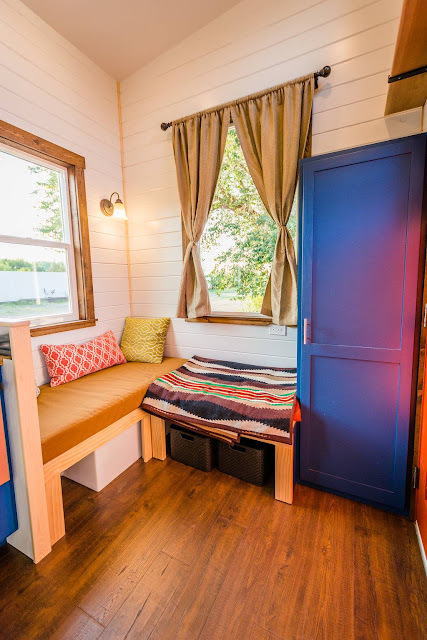 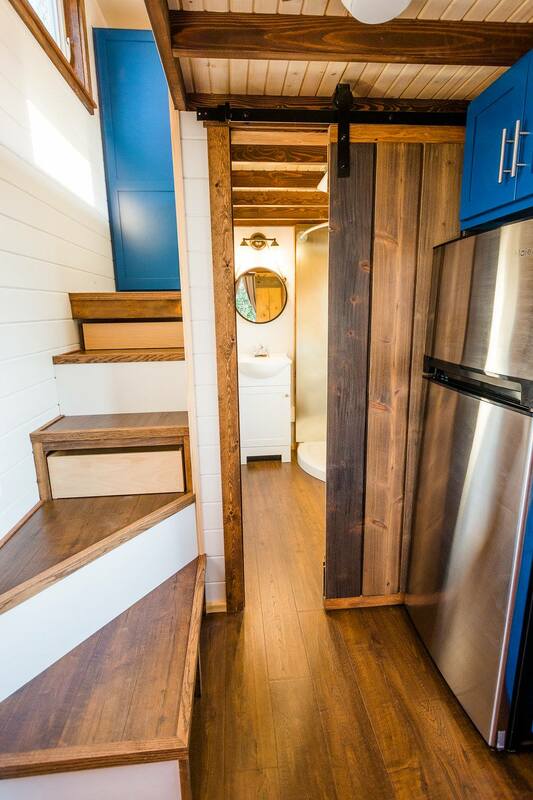 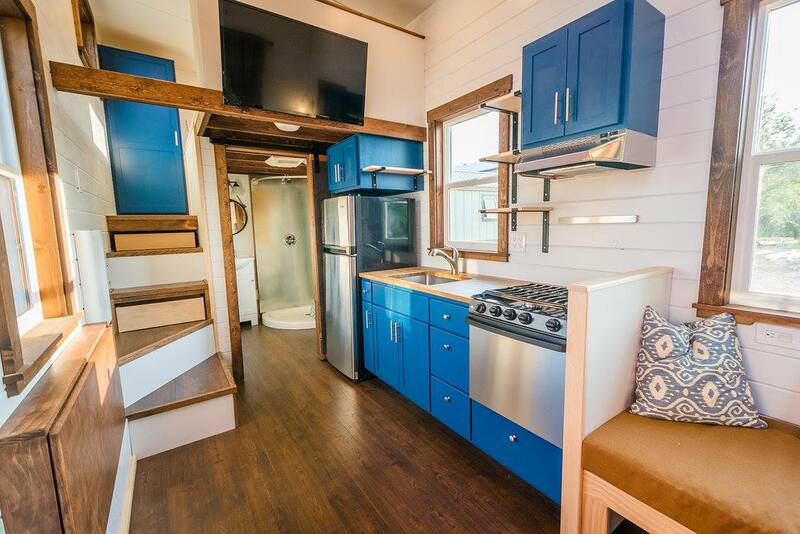 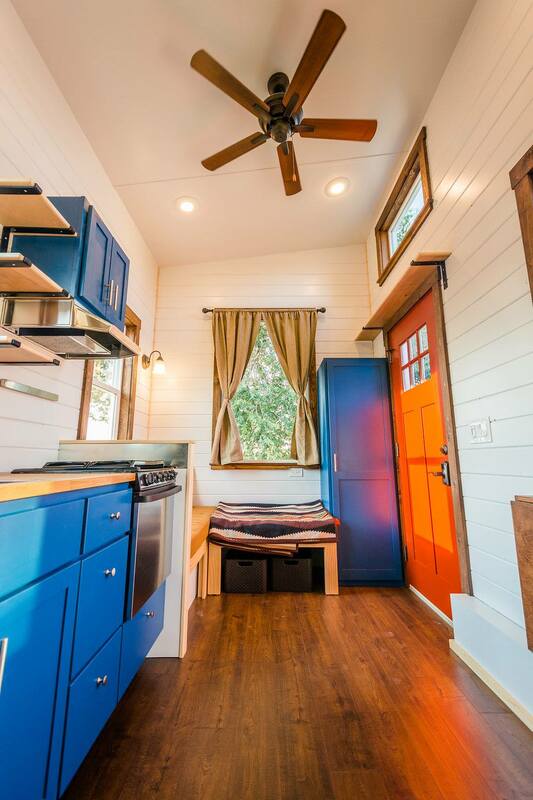 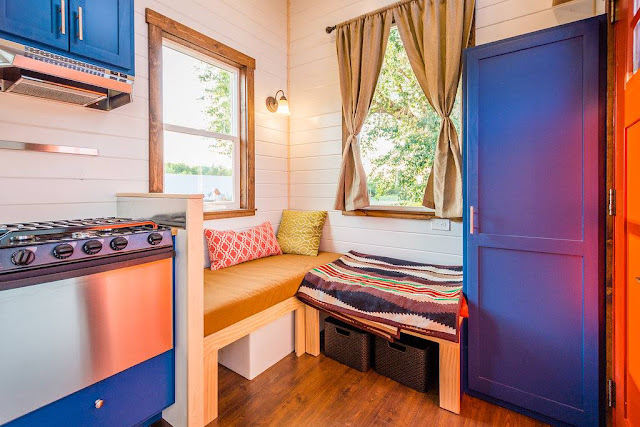 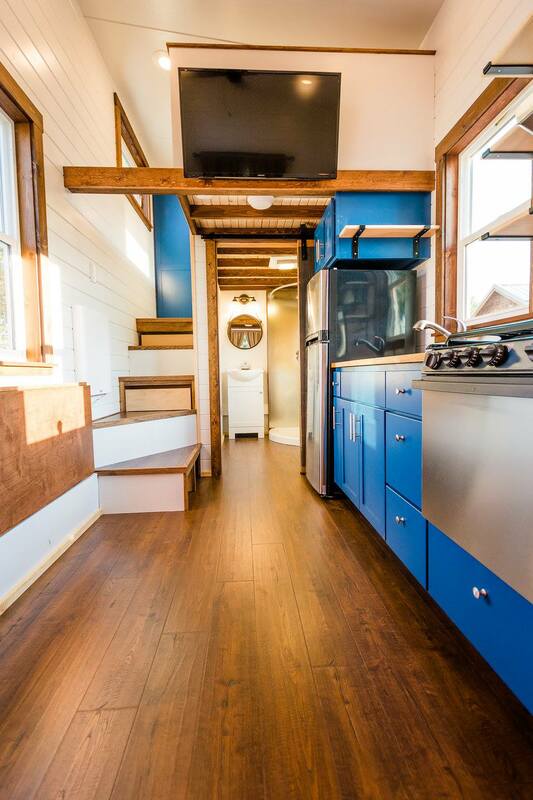 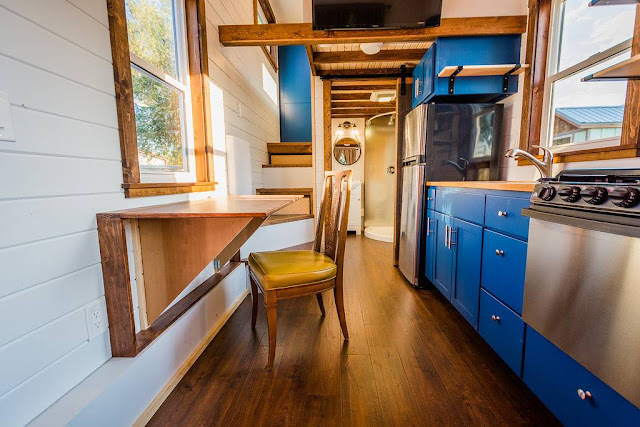 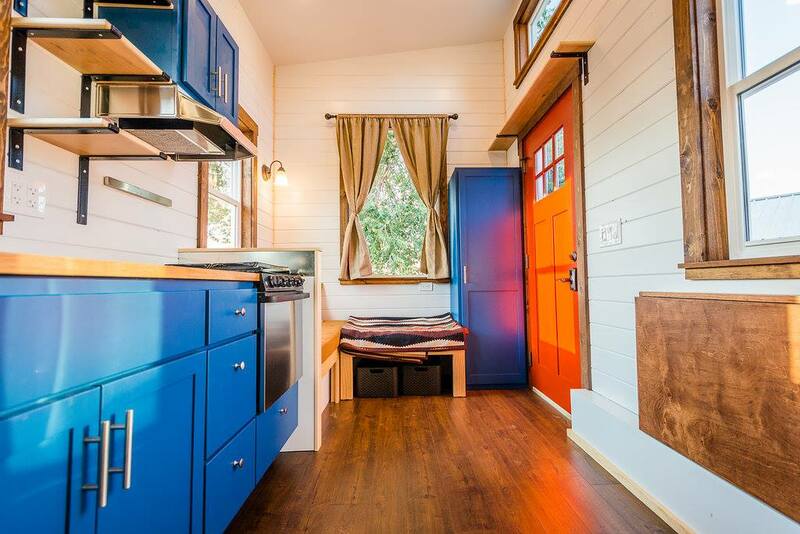 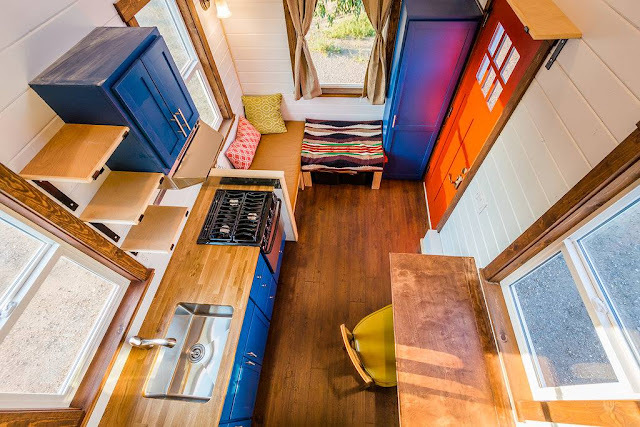 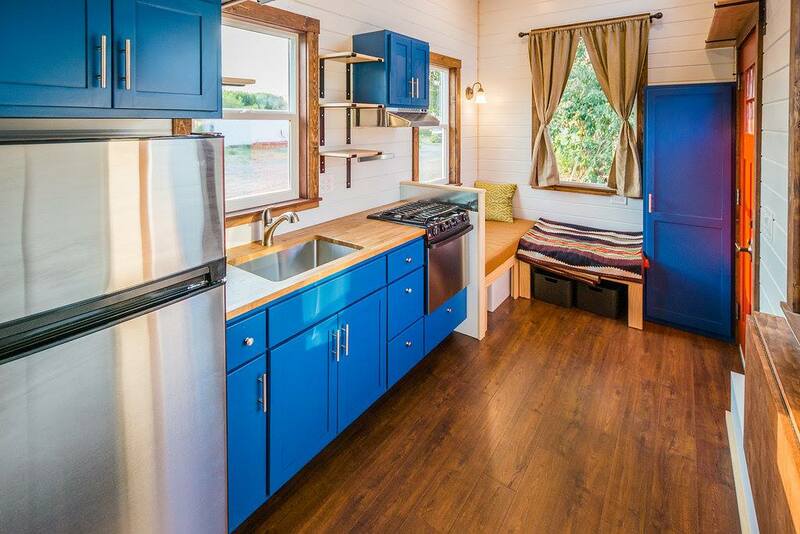 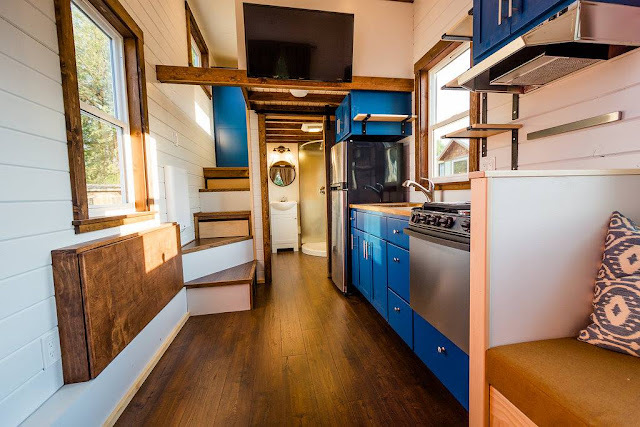 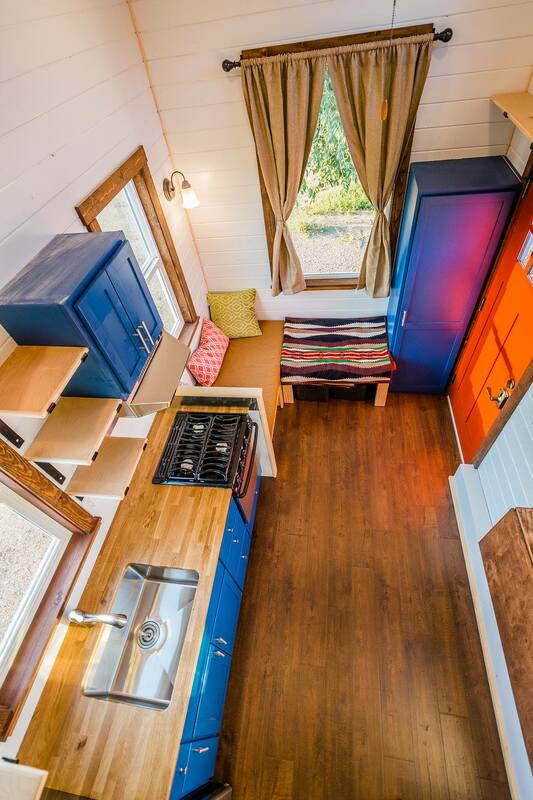 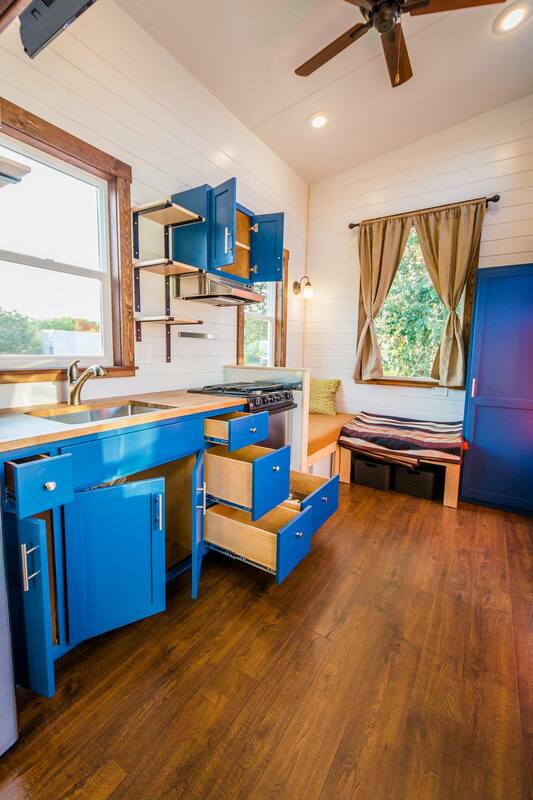 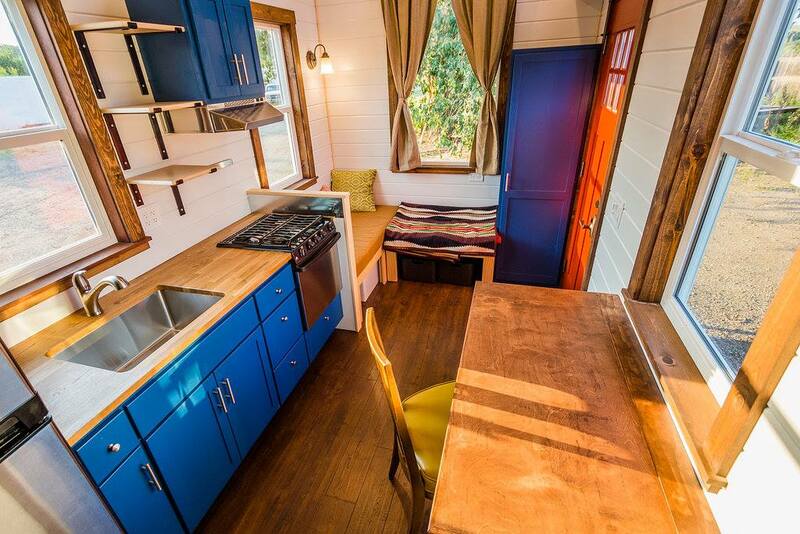 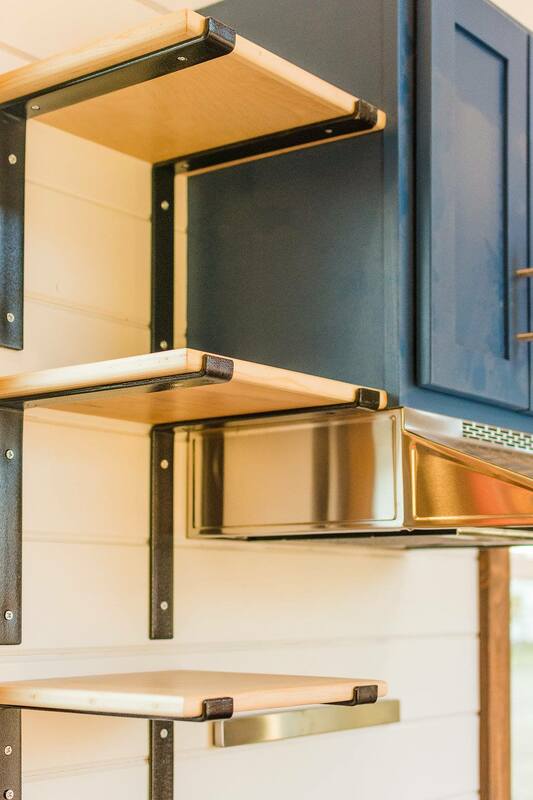 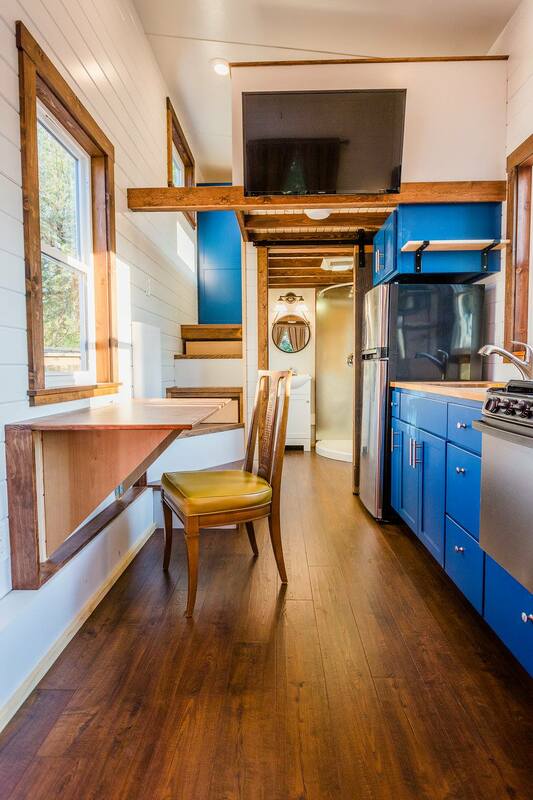 From Mitchcraft Tiny Homes is this colorful and rustic tiny home that packs all the comforts of home into a tiny space! Measuring just 20' long, the home features a full kitchen, living room, a fold-down dining and work space, a bathroom, and a loft bedroom accessible by stairs. The galley-style kitchen comes outfitted with a three-burner gas range and oven, an electric fridge. 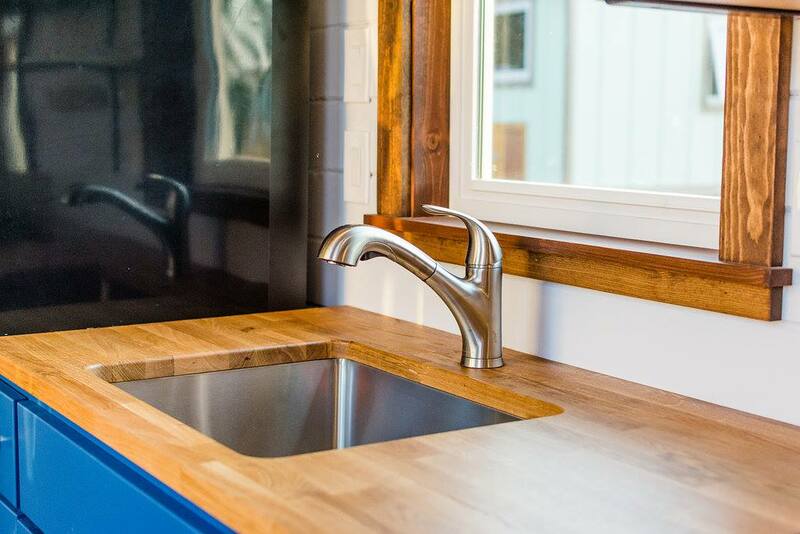 and a deep basin stainless steel sink. 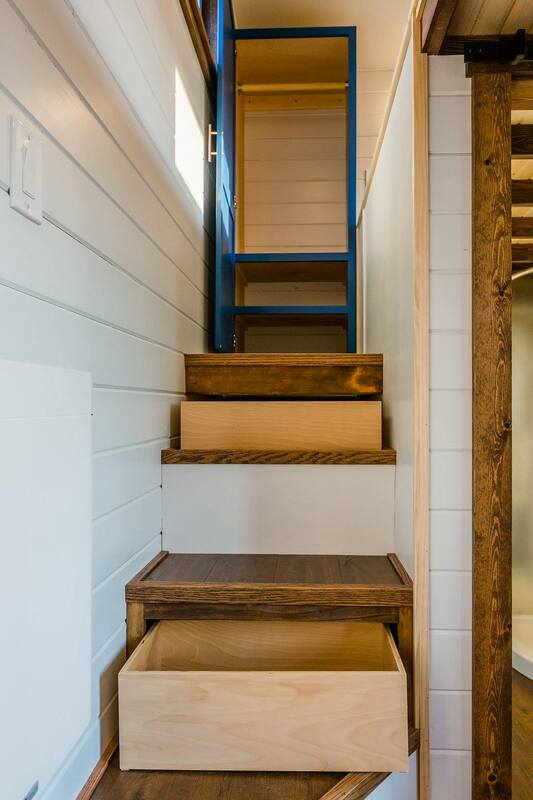 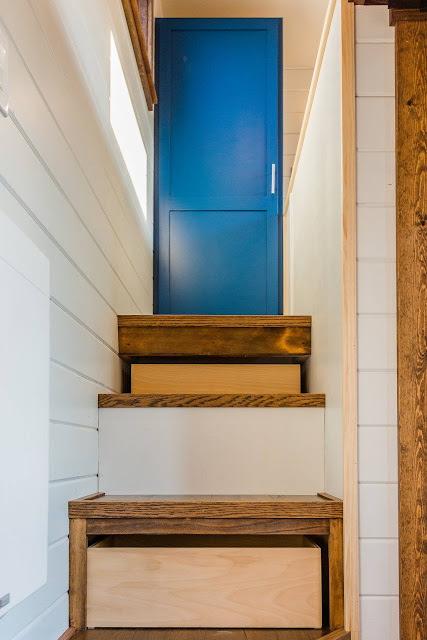 Mitchcraft was also careful to maximize on the limited space and incorporated storage wherever possible- in the stairs, shelving in the loft, kitchen drawer and cabinet storage, and bathroom shelves. Mitchcraft was also careful to maximize on the limited space and incorporated storage wherever possible- in the stairs, shelving in the loft, kitchen drawer and cabinet storage, and bathroom shelves. 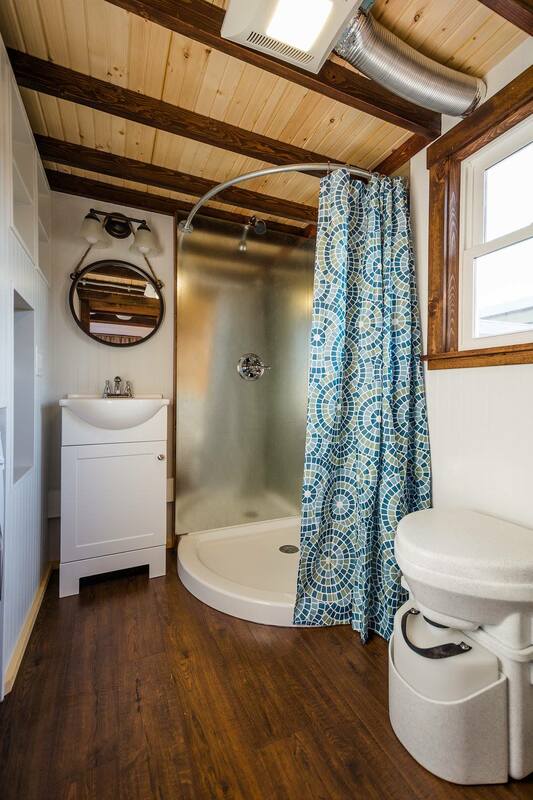 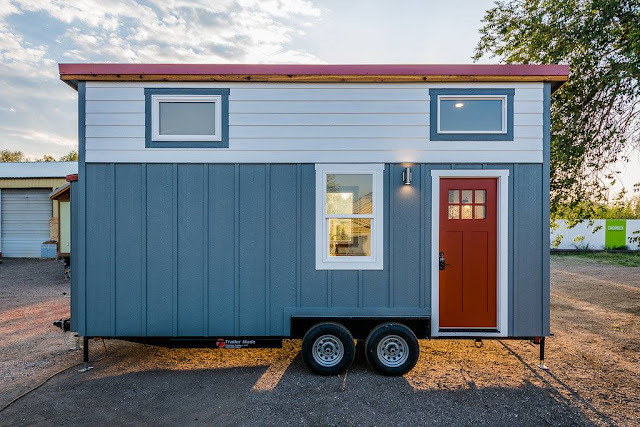 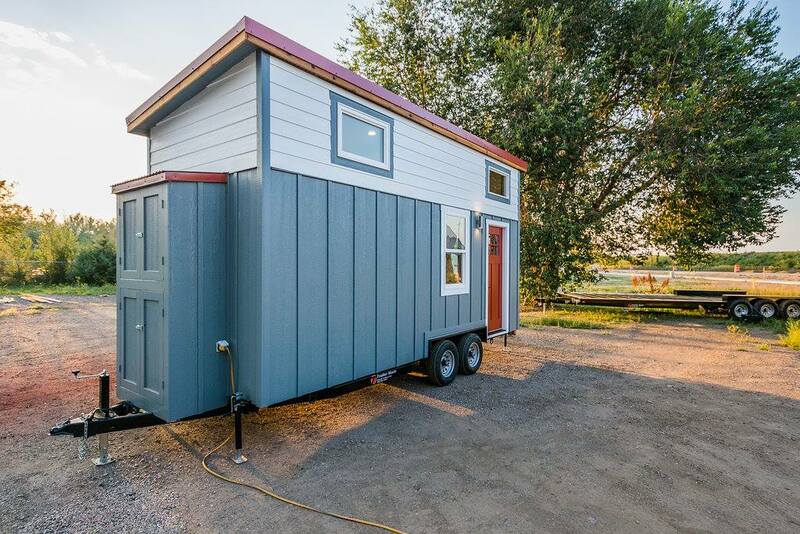 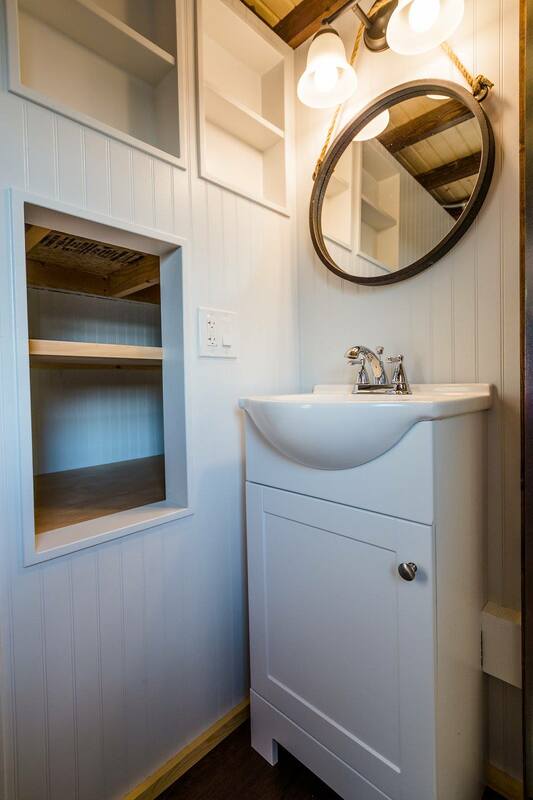 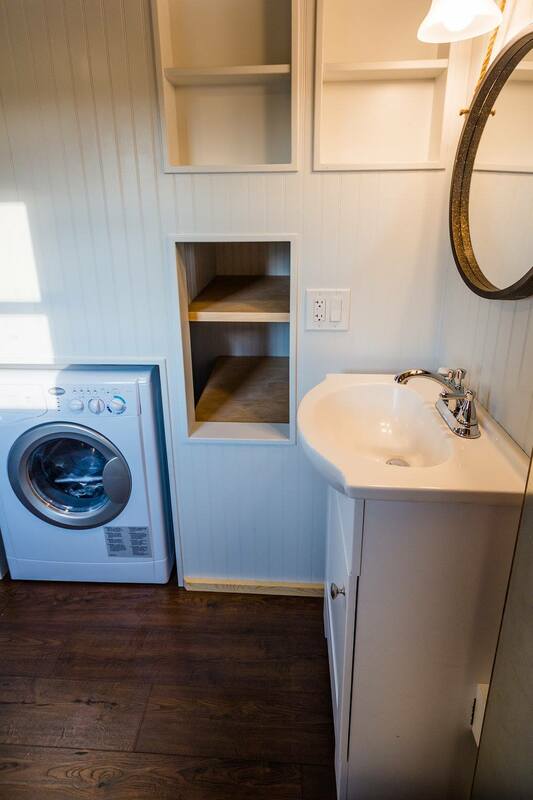 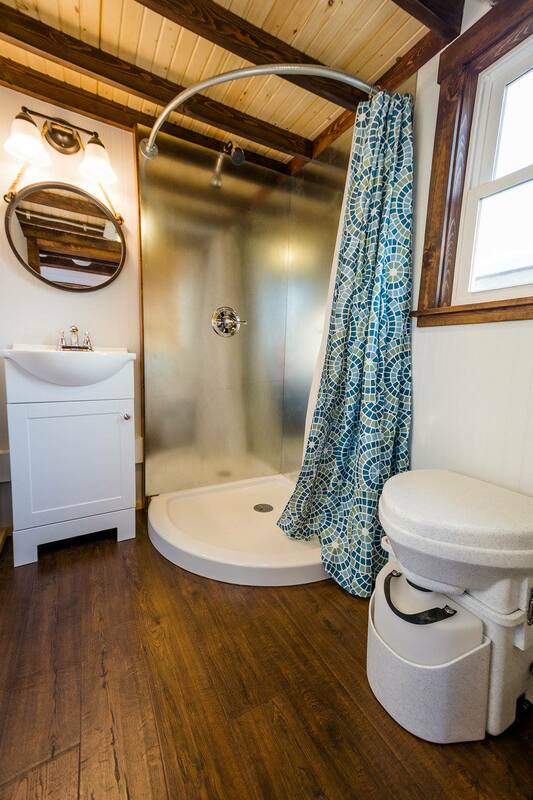 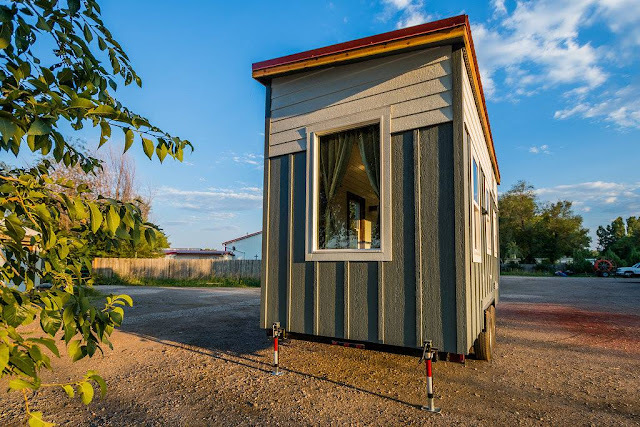 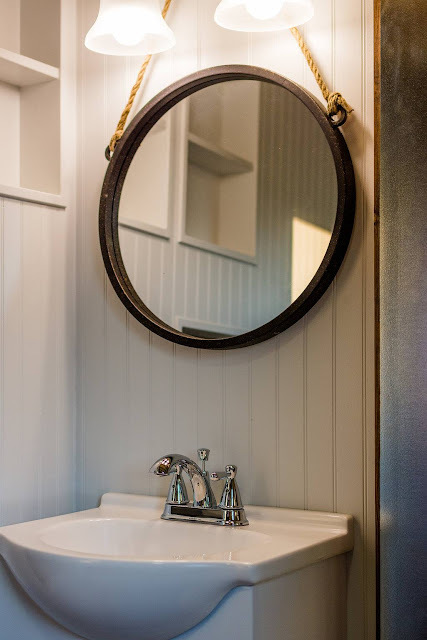 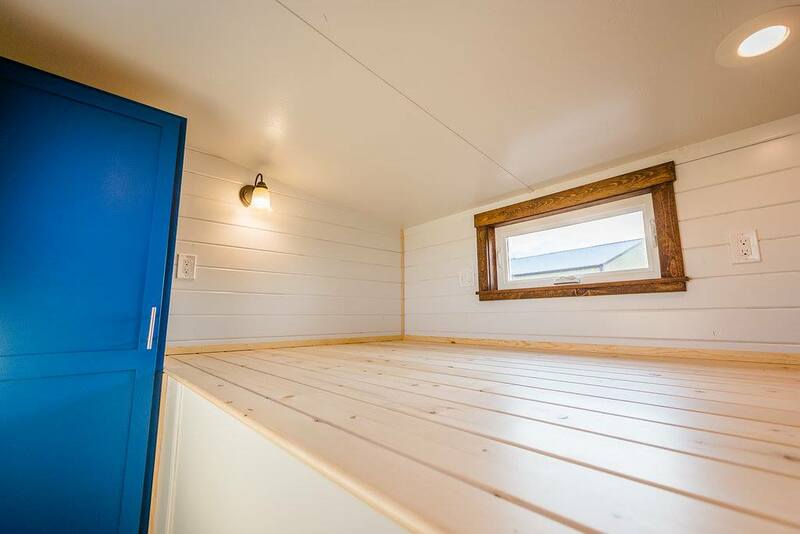 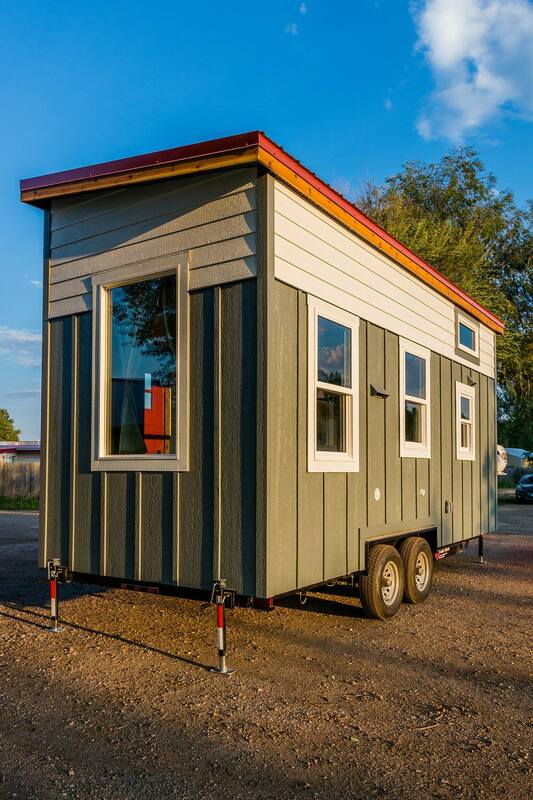 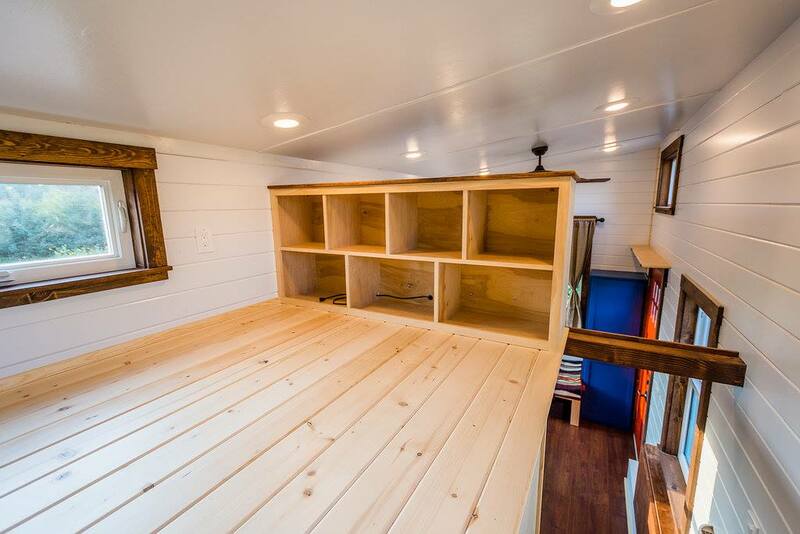 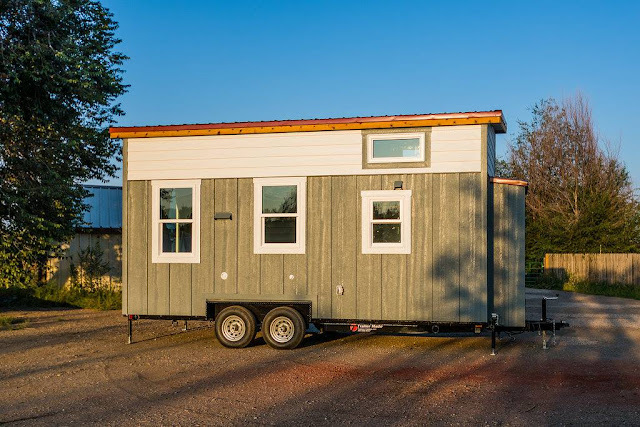 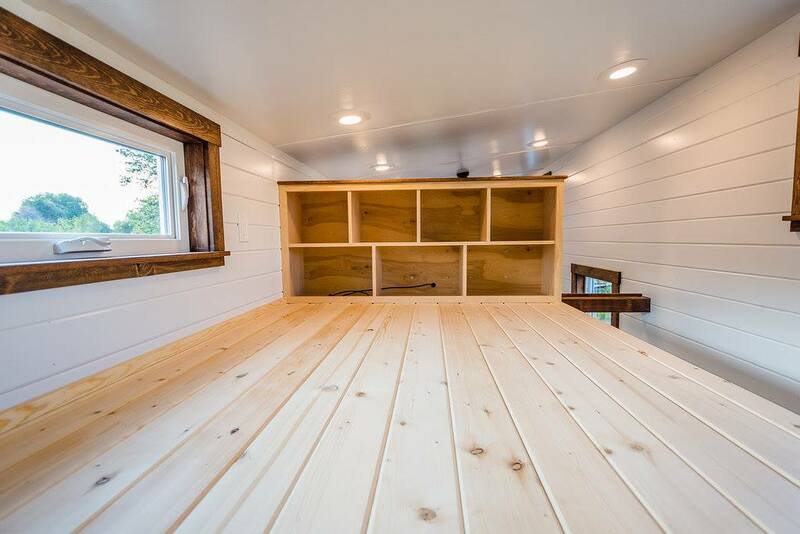 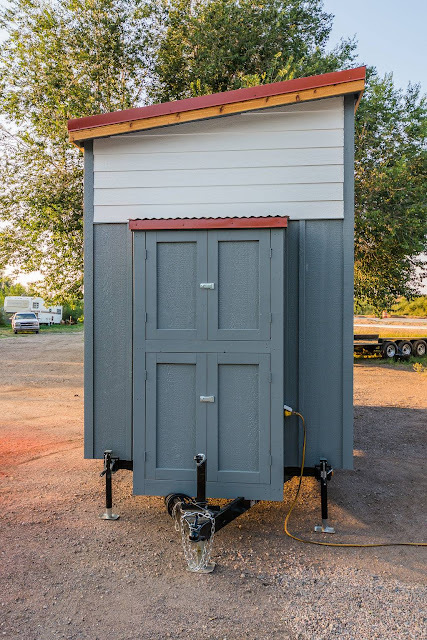 For more information and/or inquiries, contact Mitchcraft Tiny Homes here!